This is a sponsored post by Good2Grow drinks. All opinions are my own. I love trying to surprise my kids at school with just a little bit of fun. I think we all need a some fun in our lives every now and again. I like to try to keep them guessing, never knowing what I’ll do. 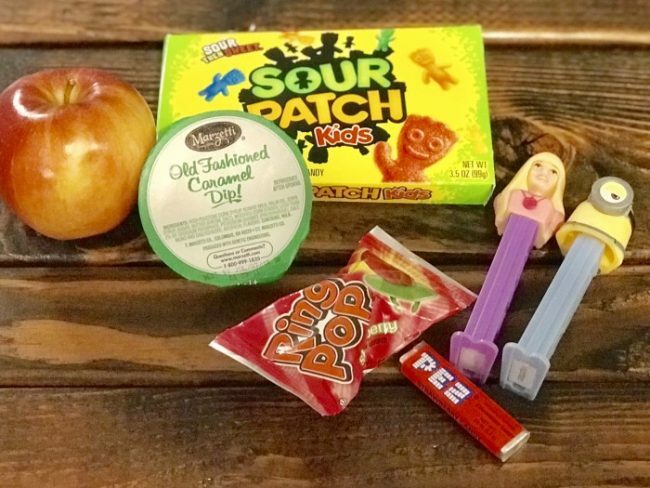 I’ve included 5 easy and inexpensive ways to add a little fun and magic to your kids’ day at school. 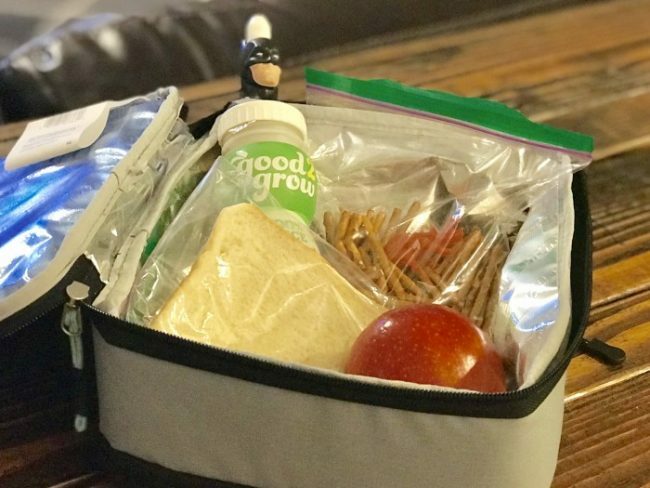 Swap Out Your Normal Routine: The things that we do day-in and day-out can get mundane, especially bringing sack lunches to school. Shaking up the routine a little will leave smiles on your kids’ faces and give them excitement throughout the day. 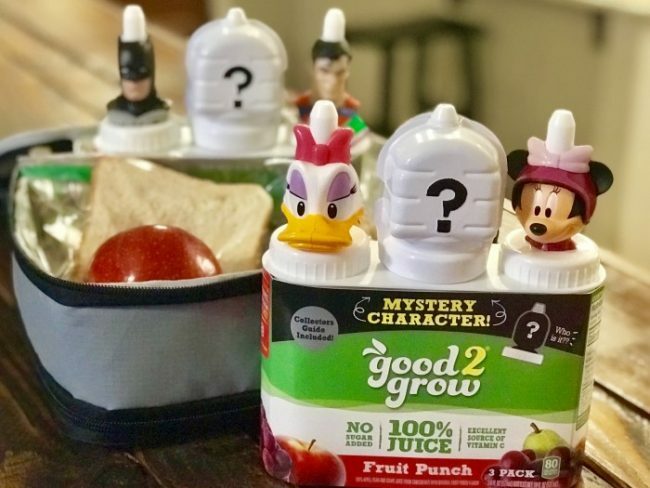 Changing up my kids’ regular water bottle at lunchtime with Good2Grow Mystery juice bottles is such an easy way to add in some fun. This one way to make drinking healthy and fun for my kids. All four of my kids struggle with getting enough fluids throughout the day, but whenever I have included the Good2Grow juice bottles, I know they’ll drink every last drop. I also try to mix up our routines by buying an extra pizza at night so the kids can have surprise leftover pizza in their lunch, or including a lunch kit that I usually wouldn’t buy. Usually my kids make their own lunches each morning, so they get excited when lunches are already made for them for the day…by MOM! Sometimes I add cut up strawberries with a little bit of whipped cream, or surprise them with their favorite fruit that I got from the grocery store the night before without them knowing. Anything out of the ordinary routine spices up what could be a boring day at school. 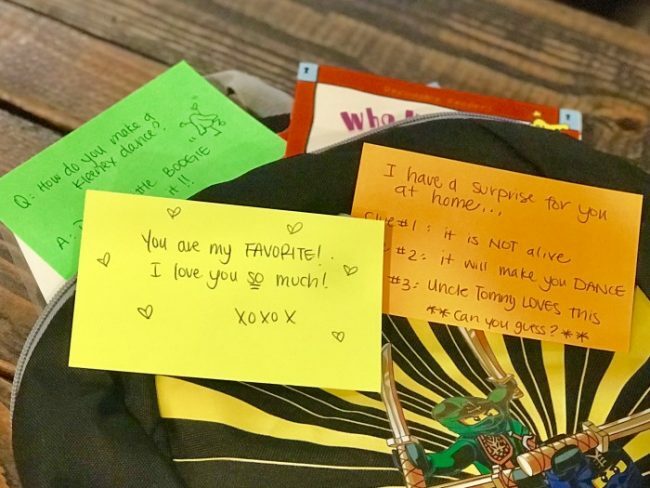 Hand-written Notes and Messages: I like to leave jokes or love notes where my kids will find them throughout the day. I might hide them in a seldom used pocket, or in their pencil box. My kids love “Dad Jokes” the best. The cheesier the joke the better. They come home and roll their eyes at the dumb joke, but I see their smiles and know that they loved it. I’ll give them clues in their lunchbox to a place we are going after school (i.e.. ice cream, library trip, PokemonGo, etc.). I give them a love note or encouragement for a difficult test they were studying for. Once my kids got into Junior High or High School, I thought they wouldn’t appreciate my notes anymore, but I was wrong, I’ve found that they LOVE them even more! Unique and Special Treats: I slip a unique treat into their lunchbox, especially something that I seldom purchase or make. The grocery store checkout aisle is a PERFECT place to find these. All those treats that we constantly tell our kids that they CAN’T BUY are a wonderful thing to surprise them with. The sour-juicy-sucker-thingy that I normally think is a total waste of money completely makes my kids’ day! Anything out of the ordinary puts an extra little spark of fun into their long day at school. Collectibles or Small Toys: Finding small collectibles that my kids are into bring all the smiles. My kids are serious collectors of almost anything. They love to try and hunt down a complete set, or find the hard-to-locate items that everyone wants. Sometimes putting a blind bag, or Mystery Good2Grow juice is a fun way for them to add a little magic into their day. The Mystery 3-Pack features collectible character toppers from the hottest names in children’s entertainment and also include a mystery topper from that collection for kids to open and discover. These have been my Kindergartener’s and my 4th Grader’s FAVORITE collectible recently. They are dying to find out what character they’ll get at lunchtime and if they can collect them all. 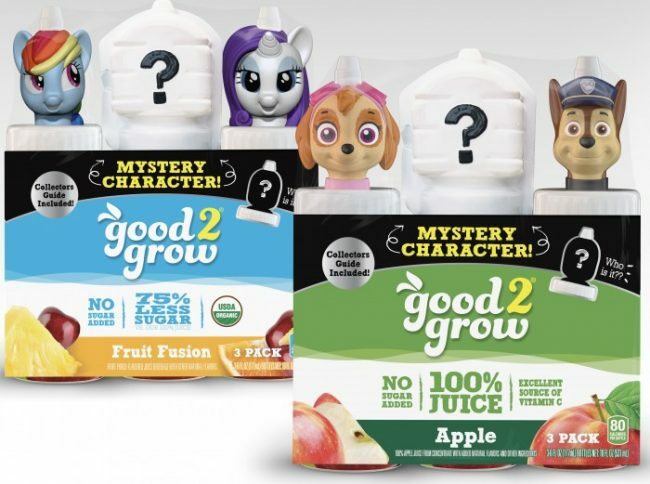 You can find different Mystery 3-packs of Good2Grow Juice collectibles at Walmart and www.good2collect.com. Pranks: I love to keep them guessing, and the sillier the better. Maybe I’ll put a layer of potato chips into their tuna sandwich, or replace their blueberries with chocolate covered raisins or chocolate chips. I’ve swapped out their sandwich with a “blank”wich (two slices of bread with NOTHING in between), or included a plastic bug or two in their entree. (One thing I have learned however, is never…ever…EVER swap out their treat with broccoli-they will NOT come home smiling…) Pranks are so much fun and spice up their short lunchtime. 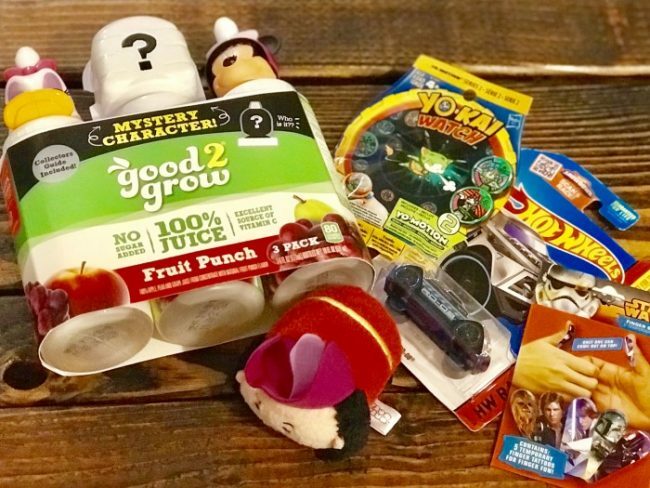 Enjoy adding a little spice to your kids’ day with these 5 inexpensive and easy ways to bring magic to their school day and make sure to visit Walmart to get the Mystery 3-Pack and expand your child’s good2grow collection! They’ll have so much fun unveiling their mystery character, and they have an added BONUS! The Mystery 3-Pack includes unique codes that allow kids to unlock additional games and prizes through the Collector’s Club.